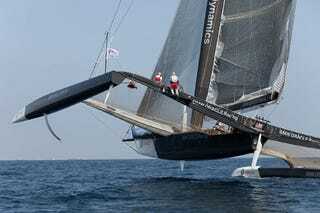 BMW Oracle Racing unveiled what it believes to be the world's largest wing on Sunday. Complete with flaps, the wing is a massive 190 feet long. The catch? It goes on a trimaran, not a car.